The programme's ground breaking feature was the live transmission of computer software, in those days personal computers stored their data on audio cassettes at data rates of a kilobit per second or so, which meant the data could be played over AM medium wave and VHF FM transmitters and be directly loaded into home PCs as Datarama was transmitted on air . . . try doing that today with mulitmega byte bloatware. It certainly didn't impress everyone, as Radio West journalist David Garmston put it " . . . and now the moment you've all been waiting for BEEEEEEEEEEEEEE BEEEEP BEEEEEEEEEEEEEEEEEEEEEEEEEP, was that it?" Trivia: the first computer program to be transmitted live, and on the 'night tapes', was a very chunky monotone graphic for the BBC micro and ZX81, of Cheryl Ladd, based on a photo printed in the London Evening Standard. in 1975. 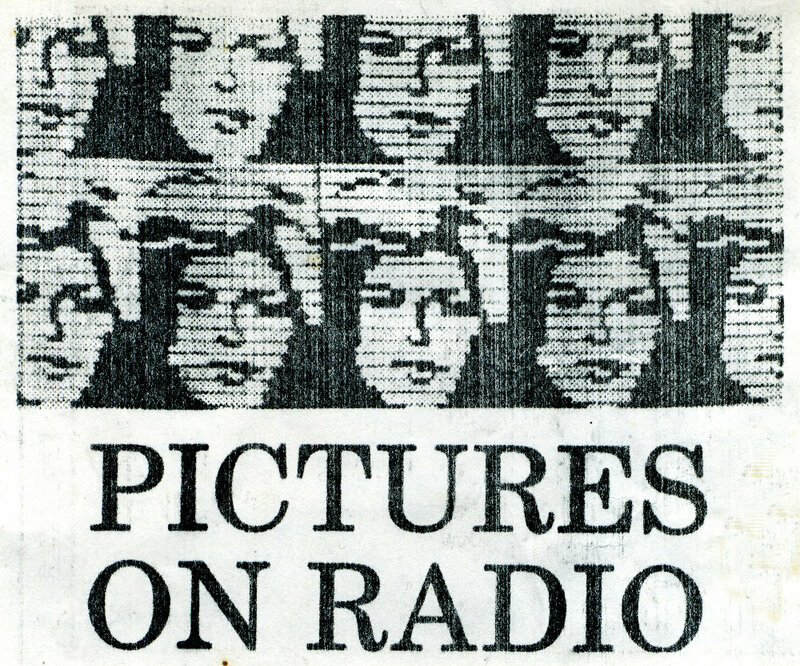 This is a clipping from a computer magazine at the time, the original ZX81 and BBC graphic broadcast was a single pane from the image below and would have been around 40x80 black/white pixel resolution, astonishing stuff at the time.